Ibiza is an island in the Mediterranean Sea 79 km off the coast of the city of Valencia in Spain. It is the third largest of the Balearic Islands. The island is well-known for its summer club parties which attract large numbers of tourists, but the island and the Spanish Tourist Office have been working in order to promote more family-oriented tourism. 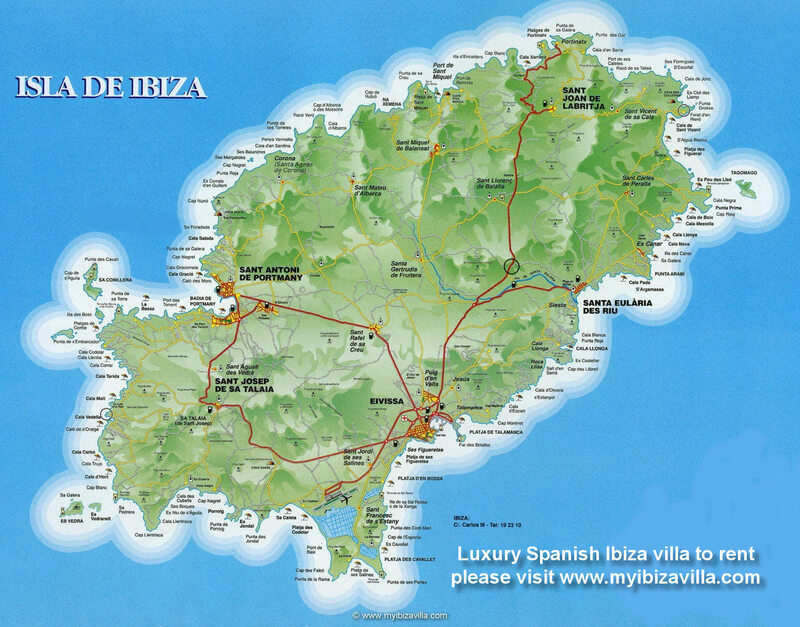 Map of Ibiza (Topographic Map). Map of Ibiza (Interactive Map). Map of Ibiza (Beaches and Touristic Destinations). Map of Ibiza (Satellit Map). Map of Balearic Islands (Overview).